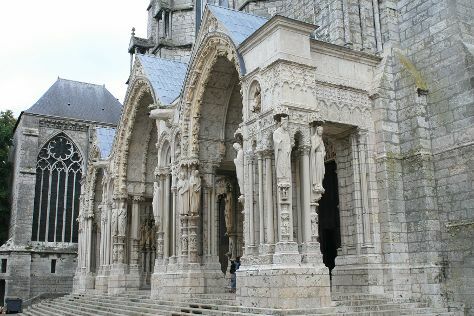 Step off the beaten path and head to Chartres Cathedral and Chateau de Fontainebleau. Venture out of the city with trips to La Hotte du Diable (in Coincy), Oise-Aisne American Cemetery and Memorial (in Fere-en-Tardenois) and Palace of Versailles (in Versailles). There's lots more to do: examine the collection at Musee d'Orsay, indulge in some culinary diversions at a local gastronomic tour, contemplate in the serene atmosphere at Cathédrale Notre-Dame de Paris, and take in nature's colorful creations at Luxembourg Gardens. If you are flying in from United States, the closest major airports are Paris-Orly Airport, Charles de Gaulle International Airport and Paris Beauvais Tillé Airport. In September, daytime highs in Paris are 69°F, while nighttime lows are 54°F. Wrap up your sightseeing on the 22nd (Sat) early enough to travel back home.